This premium quality removable vinyl wall decal features the J.R.R. 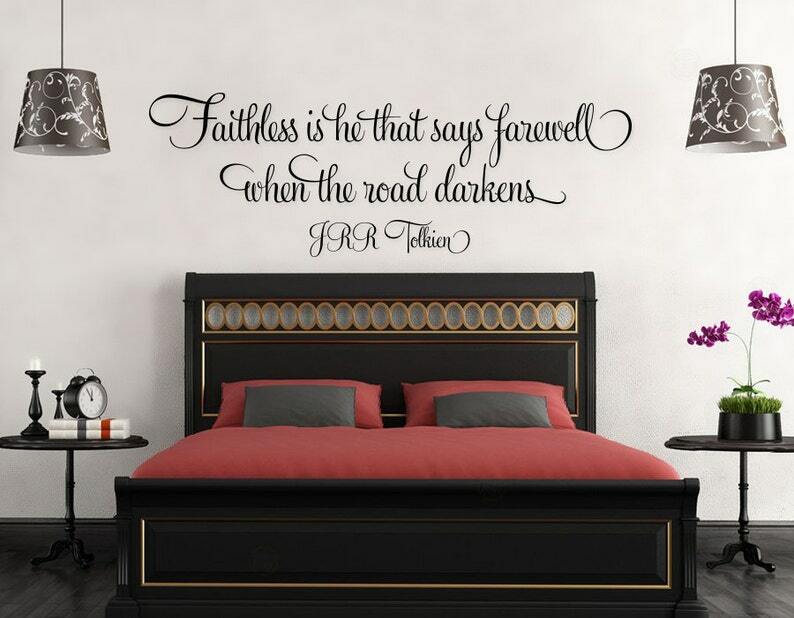 Tolkien quote "Faithless is he that says farewell when the road darkens." in an absolutely beautiful and elegant script style font. - 24" wide x 8.50" tall. - 36" wide x 12.00" tall. - 48" wide x 17.00" tall. - 60" wide x 21.00" tall. If for any reason you are unhappy with your purchase, return the item in its original condition within 30 days, (extended during holidays) of delivery date for a refund.